The word ‘Invictus’ means ‘unconquered’. It showcases the fighting spirit of the injured military personnel and what these tenacious men and women can achieve, post injury. The Games harness the power of sport to support recovery and rehabilitation. It has helped to generate a wider understanding and respect for those who serve their country. The Invictus Games was the brainchild of Prince Harry, a former Apache helicopter pilot who served with the British armed forces in Afghanistan. He was inspired to launch an event after seeing three young soldiers badly injured in Afghanistan in 2008. At the time, Harry was being sent home after the news of his presence in Afghanistan as a British army officer was flashed by the media. This endangered his fellow officers, forcing him to leave, even though he wanted to stay with his soldiers. While sitting aboard his flight home, Harry saw a coffin of a Danish solider loaded aboard. Also on that flight were three young British soldiers on stretchers in induced comas, wrapped in plastic, with missing limbs and tubes coming out of them. 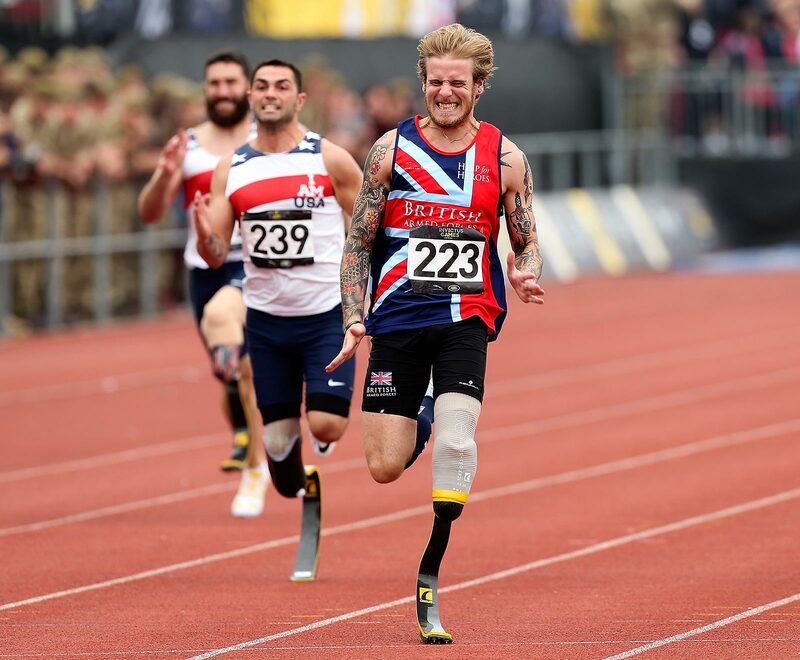 On a trip to the Warrior Games in the USA in 2013 he saw how the power of sport could motivate the injured soldier physically, psychologically and socially. 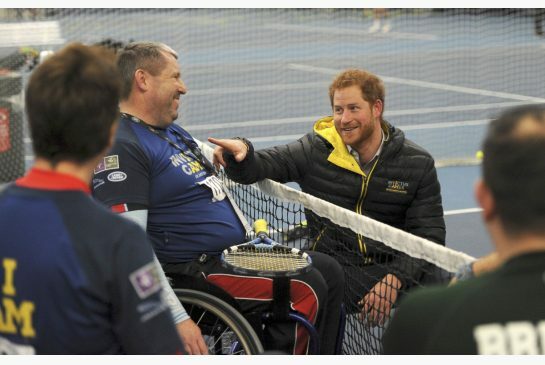 He formed the Invictus Foundation and hosted the inaugural Invictus Games at London from 10-14 September 2014 which was attended by over 400 competitors from 13 nations. Across four days of intense sporting action, they competed in nine sports in five venues. Thus was born the Invictus Games, the only international adaptive sporting event for wounded and sick soldiers and veterans. The Games started with a spectacular Opening Ceremony, with an audience of 5,000 gathering on Queen Elizabeth Olympic Park for the special military themed opening event. With a fly past from The Red Arrows, displays by The King’s Troop Royal Horse Artillery and the Queen’s Colour Squadron and performances from bands in the Royal Marines, Army and RAF, the Games kicked off with all pomp and ceremony. According to Prince Harry, the 2014 Games were just the beginning of the Invictus story. The competitors showed grit, determination and humour with an absolute refusal to be beaten or be defined by their injuries. There the Invictus spirit was born. He was excited to see the American public supporting these inspirational men and women at the 2016 Invictus Games. Seeing so many men and women competing against each other with huge beaming smiles, made him realise the power of the concept behind Invictus Games. He is of the opinion that sports can make a huge difference and help the injured soldiers fix their lives and those of others around them. The Invictus Games 2016 was held at Orlando, USA from 08 to 12 May 2016. The games featured 500 competitors from 15 nations: Afghanistan, Australia, Canada, Denmark, Estonia, France, Georgia, Germany, Iraq, Italy, Jordan, Netherlands, New Zealand, United Kingdom and the United States of America. First lady Michelle Obama, Britain’s Prince Harry and Academy Award-winning actor Morgan Freeman delivered stirring speeches during the opening ceremony. The George W Bush Institute conducted an international symposium at Invictus Games Orlando 2016 on May 8, to discuss solutions aimed at helping returning servicemen and women improve outcomes for their transition back to civilian life. The Invictus Games 2017 would be hosted by Toronto, Canada, from September 26­ to 30. It coincides with the celebrations of the 150th anniversary of its Confederation and 100th anniversary of Canada’s defining rolein the Battle of Vimy Ridge in World War I. It will provide a unique opportunity for Canadians to commemorate and honour its injured soldiers and their families. Ontario has committed up to $10 million in support of the Invictus Games 2017. It is expected to feature more than 600 competitors from 16 nations. 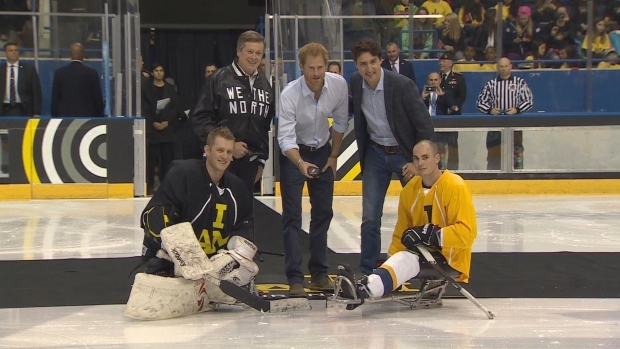 The kickoff for the Invictus Games 2017 was held on 02 May 2016, by way of an exhibition sledge hockey game at Toronto. Prince Harry joined Prime Minister Trudeau and Toronto Mayor John Tory were in attendance. Paraplegic rehabilitation Centre (PRC), Kirkee, is a pioneer in introducing sports on wheelchair for the Indian wounded soldiers. The First National Games for disabled were also organised by PRC and were held at the Centre. Inmates of the Centre are undisputed champions in wheelchair sports at National level. At the international level, inmates from PRC have won many medals. Will India ever hold an Invictus Games? Will someone sponsor the Games? It is ironic that the sponsor for the Invictus Games 2014 and 2016 was none other than Indian owned Jaguar Range Rover. Reji, Thanks for introducing new topics which otherwise will be unknown to us folks. You gave a lot of insight to us on this. 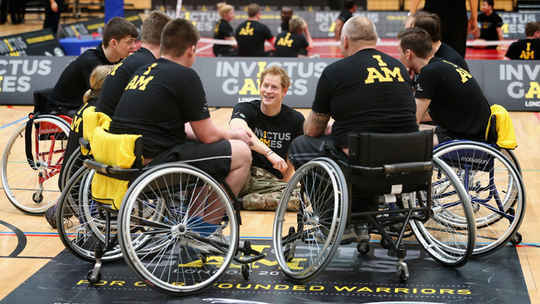 And of course the injured soldiers need such events to come out of their inferiority; An encouragement indeed for them. Let us hope & pray that such events will soon be started in India also elevate the injured soldiers spirits. Great way to keep honour and spirit of the brave soldier live and kicking. In India we never have the habit or culture of honoring the soldiers who fought for us. Unfortunately we know only the “Quota” business associated with veterans. The very first question any veteran can expect is “Are you still getting the ‘quota’ On time?” & next time can I get a bottle. TheY got labelled (self marketed) as a special group eligible for monthly liquor quota at a lower price. Efforts should be with in the defense organisation not to brand the veterans as re sellers of the Alcohol. Initiative should come with in the Army personnel. (like Prince Harry) We cant expect anything from politicians or bureaucrats. Is there any focused efforts for the rehabilitation of well being of physically, psychologically and socially side lined soldiers? There is a lot to do in this segment but to my knowledge there is little initiative from the leaders.